With just $5 here’s how to organize your home essentials! Keep your home running smoothly, manage groceries, family, cleaning routines, and set your productivity on FIRE! Do you write on the page protectors with dry erase markers? Wondering this as well! Do you write the weekly brain drain for example in dry erase each week or use these as reproducibles? That’s definitely an option so you can reuse them! Use page protectors or laminate! The best and cheapest page laminate is clear contact paper. I taught preKindergarten and used tbe clear conta t paper for all paves that we used for repeated learning. It is so easy. It also stays on better than laminate. hi Katherine, I love all your videos, they are so helpful, so smart, honest and very motivating. I just retired from working 35 years. We have a big family, 5 married children and lots of great grandkids that we love. I am so overwhelmed with all my extra time, I have so many plans, hobbies and changes around the house and helping out the kids and grand kids that I am desperate to get into a routine. time is just flying by and I am pulled from here to there. Maybe you can make a Vlog for retired mothers that all of a sudden have lots of time, want to accomplish so much, want to help out but time just flies without accomplishing all our dreams. Thanks, I love your vlogs and Carson and Owen are sooooooooo cute !!! Congrats on your retirement! Enjoy the time with your grandchildren and getting your home in order! I just purchased you printable bundle for 2.50. I’m unable to find the them. How will I receive them? Sending you an email now! Sorry you didn’t get one! I paid via PP for the Home Management Download yesterday….how do I get the file in order to download. I’ve checked my email and do not see anything there to guide me. I’ll mail it to you now, Lily! Hi i did receive an email but it takes you to your blog and shows how to purchase…..do not see a link to download that one mor the freebies….. I paid for the home organization binder yesterday via paypal, but I don’t have the link to download it. How can I get it? I will email it to you now! I paid via PP for the Home Management Download the other day….how do I get the file in order to download. I’ve been checking my email and do not see anything there to guide me. These wouldn’t be customizable would they, at least for the cleaning lists? At this time the cleaning lists are as-is! I purchased the home organization binder materials last night but didn’t see an option to download them. Should I wait for an email or did I do something wrong? Thanks! I love your videos! We’ve just moved to a new house after selling ours and then renting for 6 months! It’s been a long journey that’s involved two storage units, and the contents are now residing in our garage! I have a long road ahead of organizing this new house and homeschooling! I’m debating if this binder will help me, or if I’ll just forget to use it. So, I’m wondering…do you write on the sheets or on the sheet protectors. I’m just curious as to how YOU yourself use the binder. Could we see it “in action” as you are using it? Thanks so much! Again, love your vids! I write on the sheets because that’s just how I work. You can laminate them, though and use a fine tip sharpie! Ok so I checked my junk email folder and it was there! Thank you so much for getting back to me…I can’t wait to start using my binder materials! I bought mine today but couldn’t get it. Sorry I think I didn’t follow the right directions. I LOVE your stuff and great ideas!!!! Sadly I have ordered the bundle twice and paid PAYPAL twice and still have not received the downloads! I have my receipts but don’t know how to contact you other than here! I just paid for the pdf of the home bimder where do I find the download? Thank you so much for this. Samantha, I’m so glad you are looking forward to using the binder! May 2018 be your best year yet! I don’t use paypal because of some issues with my account that I’ve had the hardest time trying to get resolved, but I do use venmo. Is it possible to pay via venmo or some other way. I’m sorry for the inconvenience, but Paypal is the only way to pay for printables at this time. Hi. I love the Checklists however, how do you reuse them? 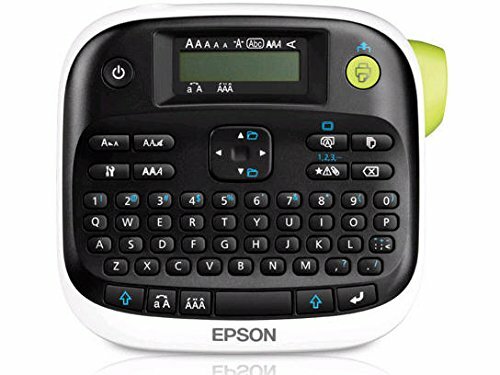 I saw you write with permanent marker in one of you videos, so how do you reuse… ? can I print these in half page size? When you purchase the home management binder, it will arrive as a PDF file. These are designed to be 8 1/2 by 11. Printing in a smaller size would affect the sizes of the lines and fonts. I purchased the home organization printable’s earlier today, and have not received them yet in my inbox. I’ll send you a picture of the receipt here. I’m excited to put my printibles in my binder and use them. I have purchased home manangement binder and dollar store 5 star yesterday , I have not received link in my inbox yet. I have also troubleshoot on your website . Haven’t got anything yet. I got completely overwhelmed just watching this video. It’s borderline obsessive compulsive rather than something to realistically implement to make things easier and organized. And adds to the pressure for women to think they have to be almost automated in how they live their lives, rather than free to be themselves. 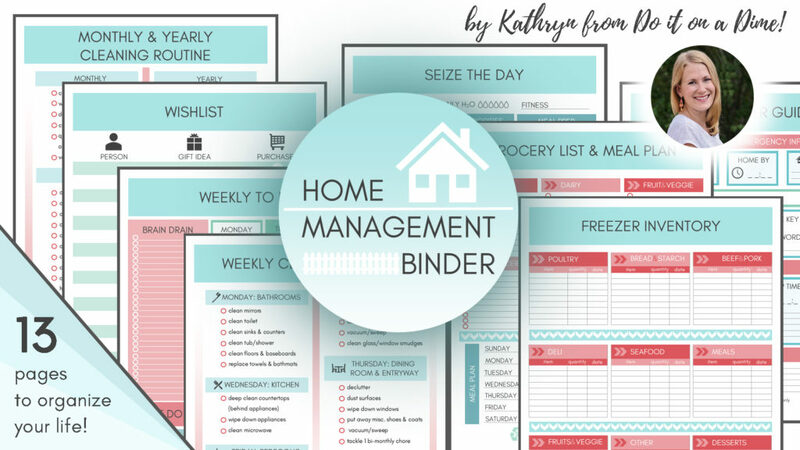 I’m thankful that the home management binder has been so useful and helpful for so many families around the world- including my own. Of course, if it’s not a system that fits your lifestyle, I wish you the very best in finding what works well for you. Have a blessed week! My email records show that your troubleshoot request through the website was responded to on August 3rd with a copy of your printables. Please check your inbox and spam again to confirm you received my email. I totally understand the need to live life on a budget! It’s my goal to give the majority of my content and knowledge away free of charge and to make the items that do cost money as affordable as possible. I believe that you can checkout as a guest with a credit card even if you don’t have a PayPal account. Congrats on your new little boy!